Anthony Bourdain, the celebrated chef who crafted such shows as CNN’s Parts Unknown, among others, took his life earlier today in France while working on a show episode. Using mediumship with the cards, I’m perceiving that this man was an extremely tortured soul. Despite his success and fame – he simply couldn’t live in the physical world any longer. As incredibly incongruous as it may seem, he’s perceived to never feel he was “good enough”- particularly in his private life. He knew his girlfriend was drifting away which promised a huge amount of grief for him. And he feared he would never be a genuinely good father to his daughter. He is characterized in the cards as having been intensely critical of himself (hence, his drug/alcohol abuse). My perception is that he felt in a very impulsive moment that it was better to check out *now* rather than waiting until he discovered himself to be even more of a failure privately in the future. A very sad place for anyone to find themselves in, to be sure. I don’t see any evidence in the cards that he had contemplated taking his life for a lengthy period of time. The crisis moment came and he suddenly took the immediate exit. Let’s pray for this man and the desperation he found himself in during that tragic act on his part. 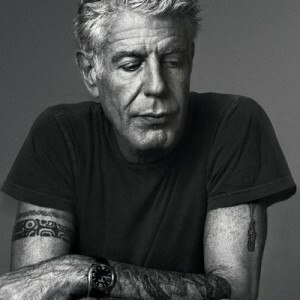 RIP Anthony.